Designed to resist water, oils and grease, the Portwest Nitrile Knitwrist Handling Gloves A300 (Case of 144 Pairs) offer exceptional dexterity making them ideal for applications such as refuse collection, utilities and maintenance. 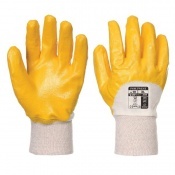 The gloves are fitted with a nitrile lining that enhances grip, while their tough cotton and jersey lined construction provides the maximum level 4 abrasion resistance. 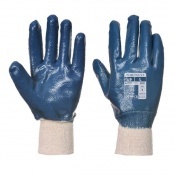 The Portwest Nitrile Knitwrist Handling Gloves A300 are popular gloves, and with this offer you can buy a case of 144 pairs at a discounted price. Ideal for businesses that require high levels of health and safety, this offer lets you save money on your essential safety wear. 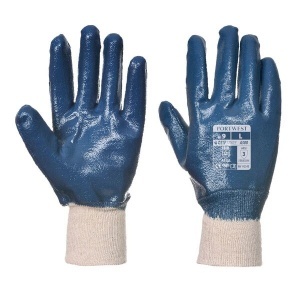 To purchase these gloves in a single pair, please see the standard listing.